Over the years, shaving works on number on your face. Almost everyone suffers some kind of shaving side effect and aloe vera products can help minimize the discomfort and keep skin looking and feeling healthy. 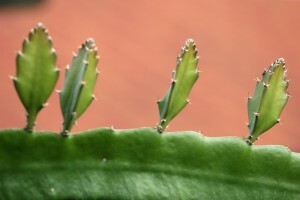 Here, you will learn how to shave using aloe vera. Even if you learned how to shave decades ago, you will find some tips to make the experience more pleasurable. Often times, young men simply aren’t taught how to shave properly. And after years of shaving and bad treatment, faces take a beating . Find out some of the most popular questions (and answers) on how to shave properly, and prevent and correct skin care problems. 1. How can I avoid rashes around my neck after I shave? Try using a fresh blade every couple of times, and a shaving cream that has been fortified with hydrating emollients (lubricating thickening agents that prevent water loss and have a softening and soothing effect on skin). After shaving, apply a light moisturizer. If you prefer an after-shave product, be wary of those that contain alcohol or menthol; these ingredients can irritate the skin. Most will never forget the initial feeling they had using aftershave after the first time they learned how to shave. 2. I’ve just learned how to shave. Should I use a face scrub instead of regular soap to clean my face? Absolutely. Most soaps contain ingredients such as ammonium laurel sulfate, which can irritate your face. Many don’t know when learning how to shave that these soaps are manufactured because they produce a lot of foam and the ingredients are cheap to buy in bulk. A face scrub, on the other hand, is formulated without these severe chemical additives but manufactured with ingredients such as aloe vera, vitamins A and E, glycerin, chamomile, and polyethylene beads, which all help remove dead skin cells, control oiliness, prevent acne breakouts, and improve the texture and clarity of the skin. 3. I’m just learning how to shave. What ingredients are good for my skin? Next time you’re shopping for some shaving cream or getting ready to teach someone how to shave, read the ingredients on the back. Look for aloe vera, as well as other natural, soothing ingredients. You’ll also want to pay close attention to the following tips by MaleFace. It’s best to not shave the very first thing in the morning. If possible, let your skin wake up a while. Use an exfoliate such as our Deep Cleaning Face Scrub to eradicate dead skin and open up the pores of the skin to prepare it for a close shave. Be wary of mentholated shaving products. Although the cooled feeling feels good, menthol can have a very irritating effect on skin. 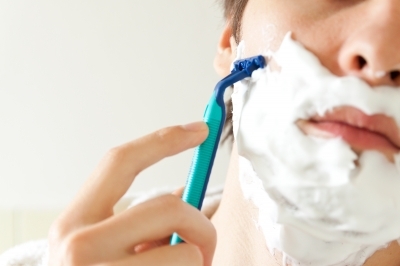 Stubble should be wetted with warm or hot water before shaving. Thoroughly massage shave cream into stubble. A vitamin and aloe vera based shave cream such as our Vitamin Rich Shave Cream will provide a close, soothing shave while protecting against razor burns and rashes. Use as sharp blade. Our personal favorite is the Gillette MACH3Turbo. Try not to wait till “the cows come home,” to change the blade. A dull blade is responsible for many shaving cuts. Rinse the blade often in hot water when shaving and use slow short strokes. Shaving with the grain means shaving in the direction of how the hair grows on your face. It is best to always shave this way. Shaving against the grain can cause redness, rashes and razor burn. After shaving, apply a moisturizer to soothe and protect the face such as our Rejuvenating Moisture Cream with vitamins, Aloe Vera, and Chamomile. If you prefer to use an after shave product check the label for alcohol. Dryness and stinging sensations are by-products of most after shaves whose primary ingredient is alcohol. Stay out of the sun during the peak hours from 10 am till 2 pm. When in the sun, use a sunscreen with SPF 15 or higher. Exercise at least three times a week. It has been proven that increased capillary capability and delivery of oxygen to the tissues tremendously helps in keeping the skin look more youthful. Eat a balanced diet with an emphasis on avoiding high glycemic foods, such as white rice and bread, and minimize the intake of fatty foods. Drink plenty of water. Many experts agree that drinking six to eight glasses a day will not only help us preserve our skin’s elasticity, but also help prevent dehydration. Get 7-8 hours of sleep every night. 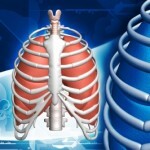 Natural Remedies for Asthma: Can Aloe Vera Help Alleviate Asthma? What Are The Various Aloe Vera Side Effects?